This bracelet has eight segment and easily moves with you. The toggle clasp and all the metal is Sterling Silver. Size is 9.5 inches(250mm) in length. This item is shown in the first and second photo. 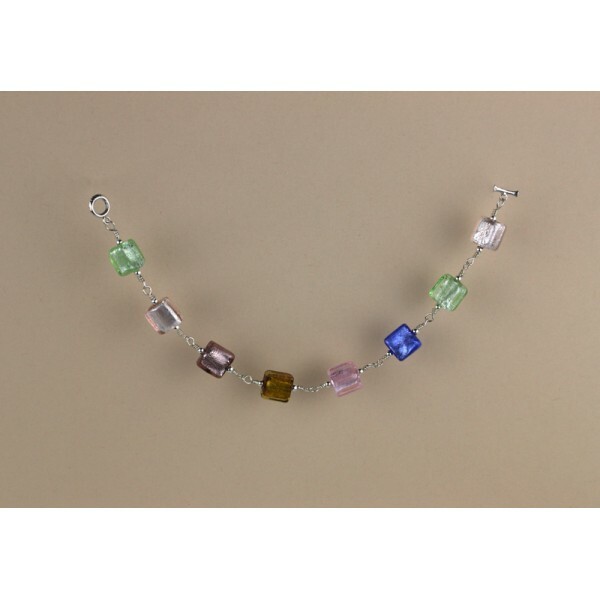 The square beads remind me of chicklets gum with color. It sparkles as you move your wrist. the colors in this make it a versatile piece to match almost anything you want to wear it with. 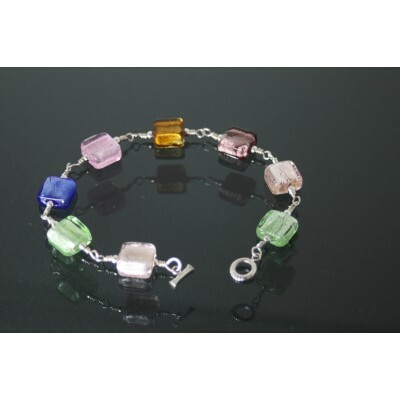 This bracelet is available in several stones. Some of the other stones: Fossil Coral, Jasper, Agate, and Unakite. Please contact me to order these other stones. Some other designs I have made are in the other photos.